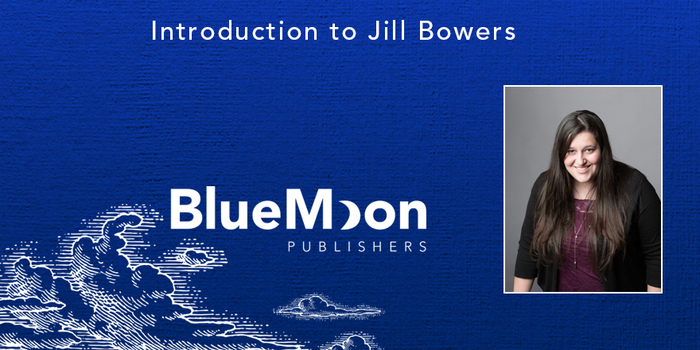 Join us as we chat with young adult author Jill Bowers, the newest member of the Blue Moon Publishers family! Yes, I have. Ever since I learned how to form letters on paper I’ve been writing. I remember that in third grade we had a day that we could sell products for “money” that we could then exchange for treats in the classroom. I tried to sell my poems and short stories. No one but my teacher bought them. I guess little kids aren’t normally into that sort of thing. I should have brought brownies. But I’ve pursued that dream into adulthood, and I plan to keep writing. Coming up with overarching ideas and funny, quirky things for the characters to do comes naturally to me. At this point in my writing career, I don’t have a shortage of ideas. There is so much to write about, and so little time! So, coming up with the ideas is the easiest bit for me. Which aspects of the writing process present more of a challenge? I struggle revising by myself. I always appreciate the input of beta readers and editors, and they help me move forward in the process. But when it comes to me just trying to revise my book, I sometimes get stuck. Sometimes I know there’s a problem but I don’t know how to fix it. That’s when it’s helpful to get other people’s input. Writing is not a one-man job like many people think it is. At this point, no, I don’t have a writing routine. However, I do encourage writing every day to keep the creative juices flowing. Your characters are more likely to talk to you if you’re paying attention to them every day. Also, like any craft, you get better the more you practice, which is just one more reason writing is so important. I don’t like to write at a desk. I usually lounge about on the couch with my laptop to write. If I write sitting down at a table or desk with my legs down, it feels too much like work, and I don’t like that. I also listen to a lot of Imagine Dragons, Marianas Trench, and Mike Acerbo while I write, depending on the mood of the scene I’m working on. I’m a musical person, so I pay a lot of attention to the mood of the songs I’m listening to while I write.